You are here: Home 2012 April Is Catalyst 6500 Supervisor 2T Your Upgrade Answer? The Catalyst 6500 Supervisor 2T was first touted to resellers and customers in 2009 under NDA. Then suddenly in 2010 the chatter went quiet, and the Nexus 5000 arrived, soon followed by the Nexus 7000. Throughout the first part of 2011 there continued to be no word on the Supervisor 2T. No whispers, no rumors. Why? Because they were considering alternate vendors. You see, once your chassis needs to be removed from the rack, you can consider other technology providers. Once you take a switch out of the rack, it’s not an upgrade, it’s a replacement, and that means the need for market testing. That was a scary prospect for Cisco. Chassis-based switches are so important to vendors because they lock customers into the company’s strategy for a decade, or in Cisco’s case on the Catalyst 6500, two decades. Is Catalyst 6500 Supervisor 2T really an upgrade answer? How good is the Catalyst 6500 Supervisor 2T? The Supervisor 2T is fine piece of kit. It upgrades the backplane of your trusty 6500 from 40 Gbps to 80 Gbps and allows the use of a few 10 Gbps interfaces. A new generation of PFC4 and MSFC5 cards squeezes more performance out of the old silicon. And finally there is support for some of the newer MPLS features such as VPLS and L2 over GRE. But these improvements don’t come without design challenges. The Supervisor 2T can work with some existing C6700 line cards but will need DFC4 upgrades to the existing daughter boards—not simple. Otherwise users will have to purchase the new C6800 line cards instead. What’s more, older chassis will need replacing since “non-E” chassis aren’t compatible. Oh, and the IOS SX firmware? It’s really time for it to be stable and reliable. Let’s face it, IOS SX isn’t a brilliant piece of work. Nexus 7009 the better answer to a Cisco switch upgrades? Cisco Nexus 7009 has an amazing feature—it’s the same size as the C6500, with the bar about two inches in depth. This seems like a great answer for C6500 customers who have been complaining that the 7010 required a complete overhaul of racks and cabling because of the physical dimension differences and vertical card alignment. That would be a time consuming, expensive and risky process. If you don’t have to move the cabling around, the Nexus 7009 really could be considered an upgrade, not a replacement. In that case, is it worth going for a Catalyst 6500 upgrade? 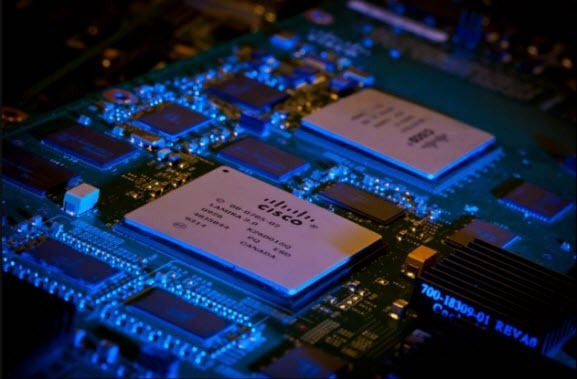 More Related: Cisco Nexus 5500: A Viable Core Switch for the Midsized Enterprise?